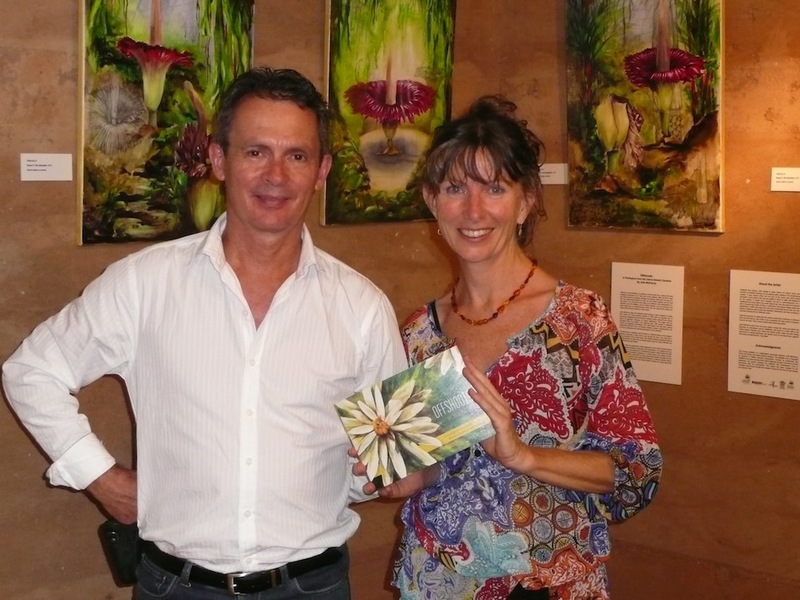 David Warmington,Curator Botanic Reserves with artist Julie McEnerny at the opening. Starting right in the Centre, Offshoots took the tropics to the desert in March 2014. 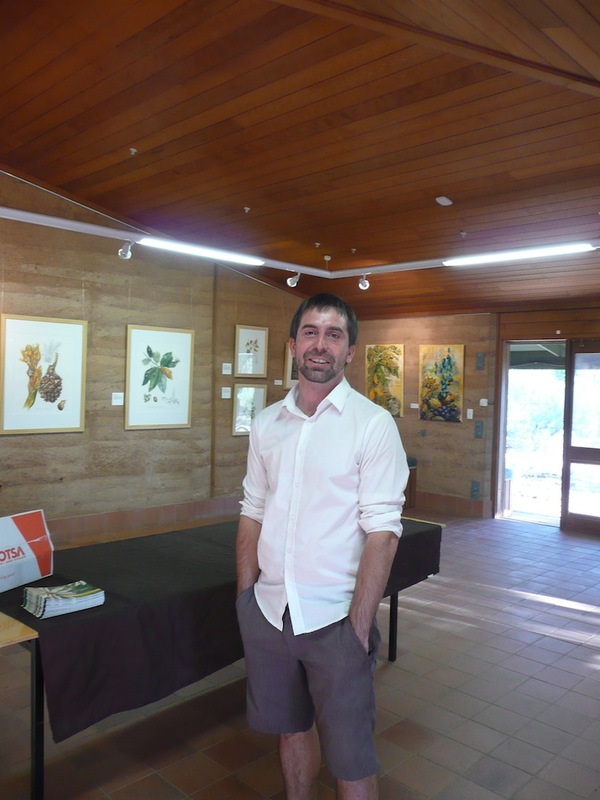 Ben Covery, curator at Olive Pink Botanic Gardens, Alice Springs was the perfect host and spoke eloquently at the opening. Thirty or so locals enjoyed the evening with us in the airy rammed-earth exhibition space. The following day’s program of a floor talk followed by the “Intrepid Flower Painters of the Tropics” presentation was trumped by the political rally, March in March, with the participants consequently cooling off ‘Alice style’. However, a handful of interested locals turned up to hear some amazing stories of women from 17th century through to the present, including North Queensland’s very own Vera Scarth Johnson. Sunday was a different story, the painting workshop was full, despite another 40-something day. The local talent and plant knowledge was most impressive! Beforehand I’d sampled some fresh dates at Todd Mall Markets and learnt about the amazing number of varieties and the growing of date palms in the area. 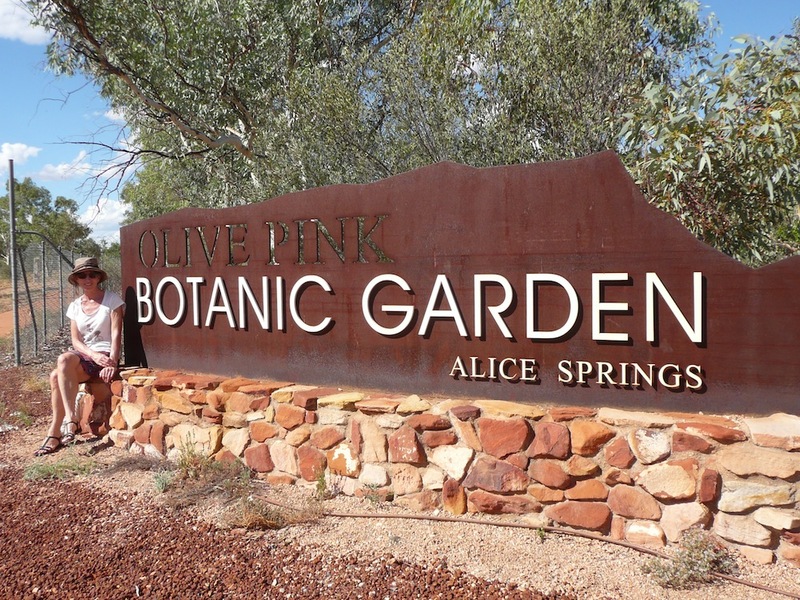 Julie at Olive Pink Botanic Gardens Alice Springs. To see the Amorphophallus series (The Performance of Hannibal & Spud) on rammed earth walls in central Australia confirmed the national tour was a reality!